CVS is Quitting, But Will You? A month into the New Year and the pharmacy chain CVS has publicly announced their resolution: to become cigarette-free by October of 2014. Unlike the 93-96% of smokers who fail at quitting, CVS is committed to a plan to cease selling tobacco products, earning them nearly universal praise for the decision. Despite being a smoker myself, even I agree that it makes total sense. Why would an American health and wellness chain provide access to something that very well could kill their customers? Logically, it is a sound decision. However, how much of a noticeable change will this make in the collectively crumbling health of our nation? CVS Caremark states that “Removing tobacco products from our stores is an important step in helping Americans to quit smoking and get healthy.” Yes, it is an important step. It sets a precedent for other pharmacy chains to follow suit and help their customers to have better health- a promise they’ve had all along. Though appropriate for a pharmacy chain, this model would be devastating if all cigarette retailers followed CVS’s example. No matter how militant one is in her/his hatred of tobacco, it is important to remember what total prohibition of a substance does to a society. 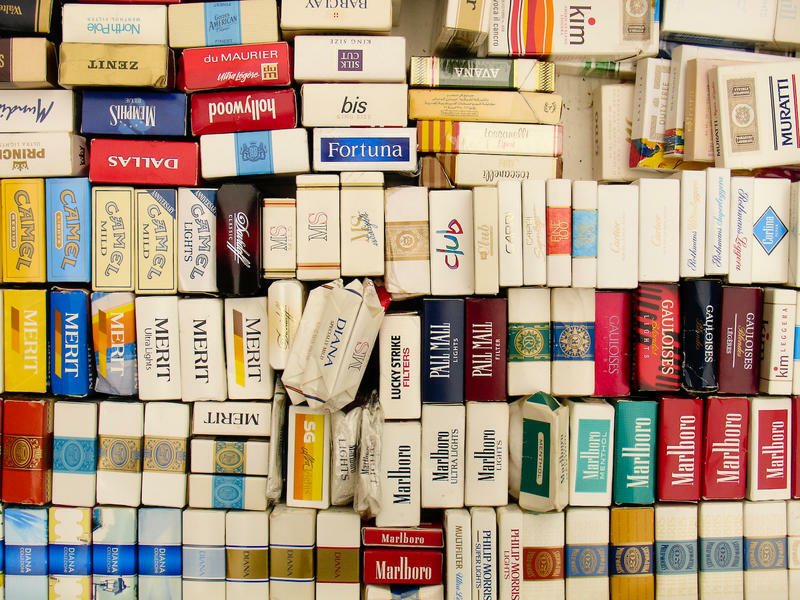 Non-smokers and smokers alike would suffer if a mafia or cartel-like group was fostered into creation due to a manufactured nationwide tobacco shortage. Competitive companies have not yet announced their intentions to follow in CVS’s path. Walgreens commented that they plan on re-evaluating tobacco sales in their business model, but other competitor Rite-Aid made no indication of removing the products anytime soon. If you’re a smoker like me, at least we can take comfort in knowing that millions of other retail locations will continue to provide us with our preferred method of delayed suicide. The step CVS is taking is certainly not a red flag indicating the coming of a dystopian fascist future yet, so let’s all cross our fingers it stays that way. Is this baby step towards the betterment of a nation’s health enough forward movement, though? The completely sound logic of this choice is rooted in the idea that cessation of sales for a detrimental product will encourage a more healthful life. Unfortunately, cigarettes aren’t the only detrimental products available in a CVS store. Maybe next on the chopping block could be the alcohol section (available where state law allows) or the soda products that use cancer-causing caramel coloring? We can only hope that CVS Caremark won’t rest on their laurels after feeling they have slain the tobacco-smoke bellowing beast, for there are many more things Americans should be keeping out of our bodies and we need the encouragement to avoid those, too. Now isn’t an appropriate time to razz CVS Caremark for their desire to benefit their customers’ health. If anything, it is refreshing to see a company maintain the concept of the customer’s best interest over financial benefit. According to their press release on the topic, CVS estimates a loss of $2 billion in annual revenue from the cessation of tobacco sales. After the suffering the nation endured due to corporate greed in The Great Recession, CVS has earned itself a pat on the back, as well as all the praise it has been receiving, for this fiscally selfless move. CVS has done something right, and the support we give them could be more critical to our nation than just in health terms. Let’s hope this is an important step forward in the moral responsibility of businesses to consider the customer as a human being before a walking pocketbook. ← Valentines Wallpapers From Bitchtopia! That was the sound of a one hand clap I just heard. Good on you. I like how you wrote this. There is only a small logical step between this action and determining what foods are bad for us… you know, like saying non-GMO foods are not as good, so are bad. I know it’s not the same thing but it’s the same garden path. The right garden path is to reward people for being healthy and let the market take care of itself – so to speak, as the demand will die off. This is tough subject. While I applaud them for choosing what seems to be customer health over profits, I find it also a bit hypocritical that cigarettes get singled out as unhealthy. I’m not a smoker myself but I’d never support taking the choice of smoking away from those who do. In my opinion the whole idea of the government knowing what’s best for you (you are so stupid we have to protect you from yourself) is completely vile. This covers both drugs and women’s rights and probably a whole lot more I can’t think of at the moment.